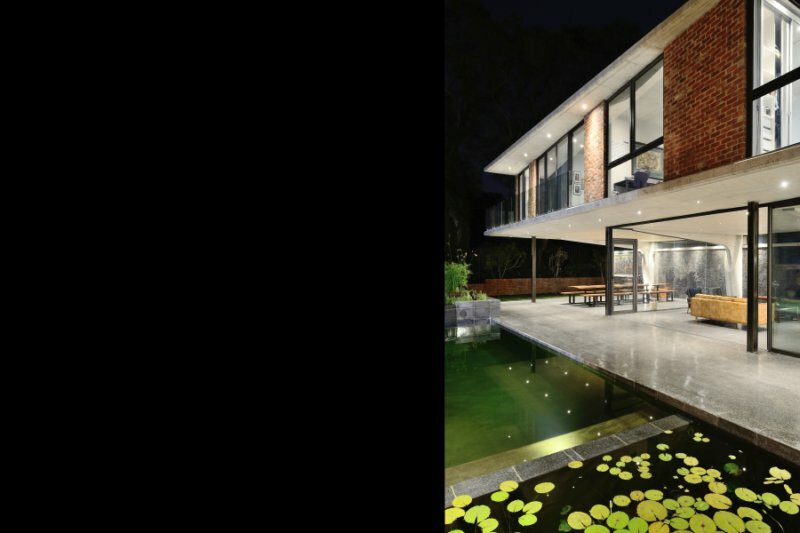 The house is defined along an axis which separates the living areas on the south side and the gym and guest bedroom on the north. 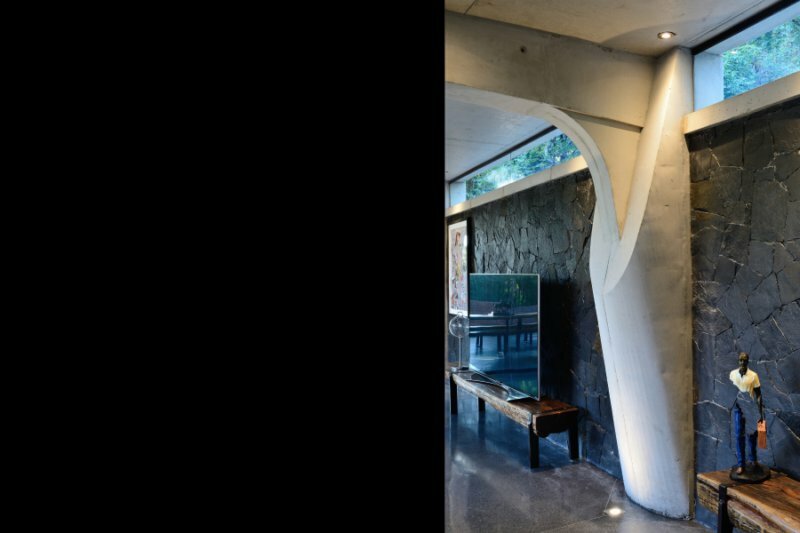 The linear axis is pronounced by a tower-like lobby and ends with a natural filtered eco-pool as the focal point. 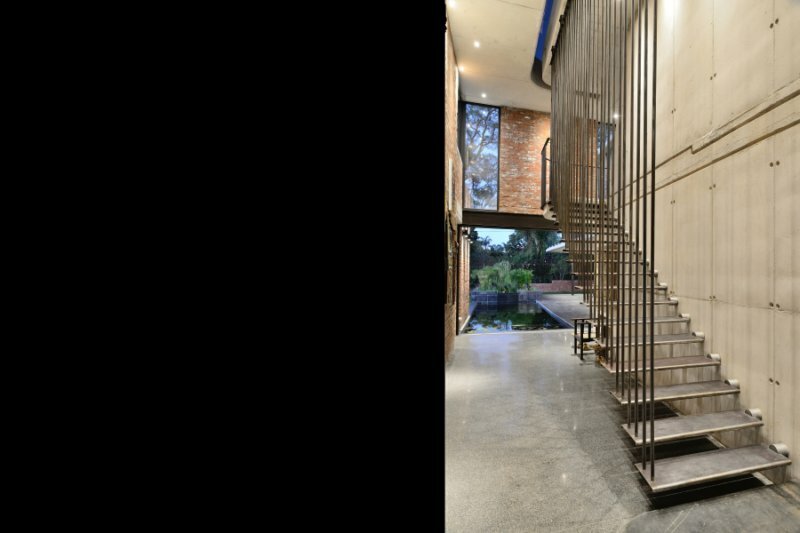 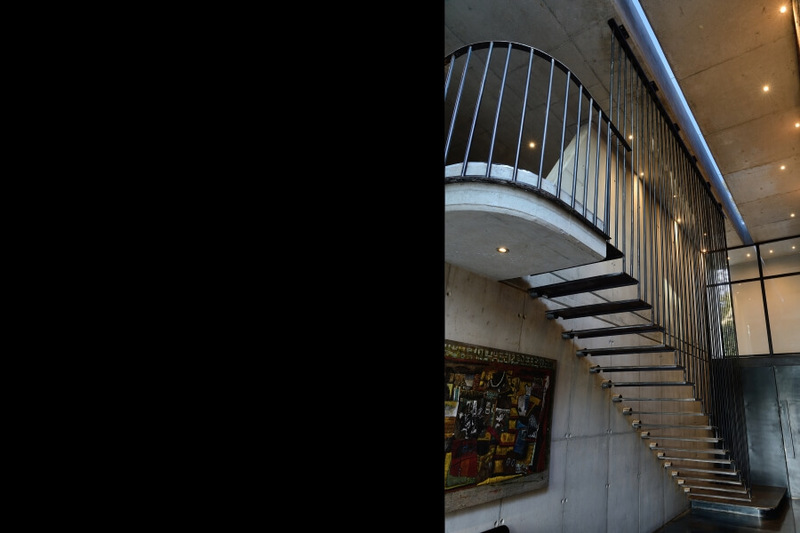 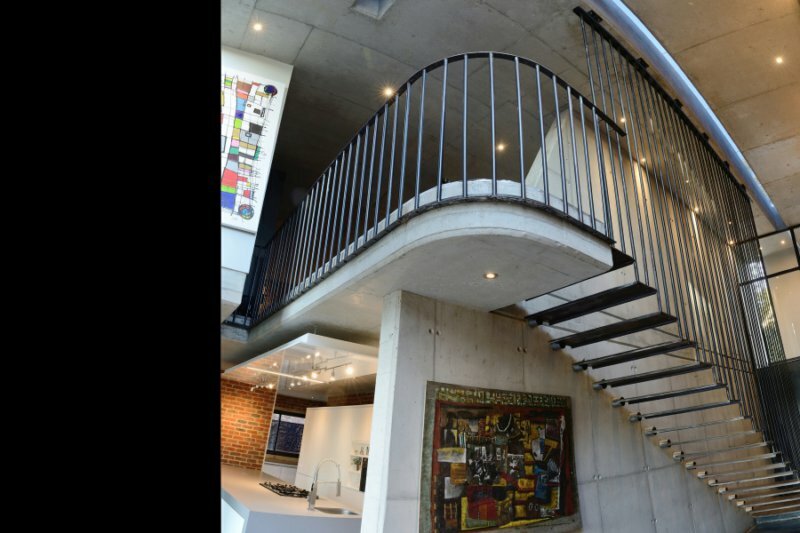 Concrete and facebrick walls flank the space from which a steel staircase hangs from steel dowels defined by the meandering skylight above. 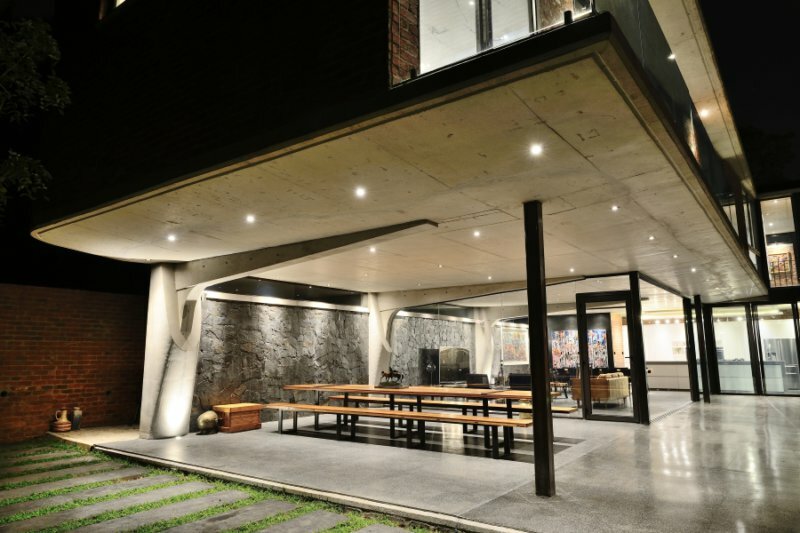 The overhanging bedrooms above create covered ,outdoor and shaded spaces below. 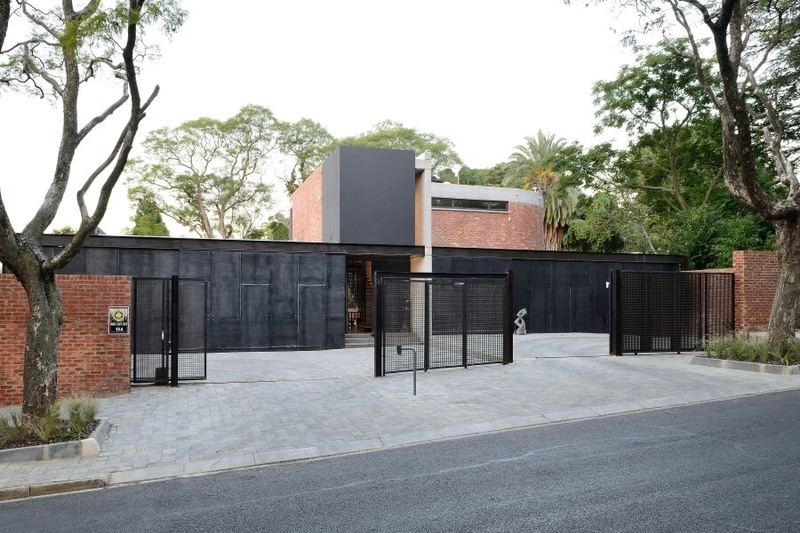 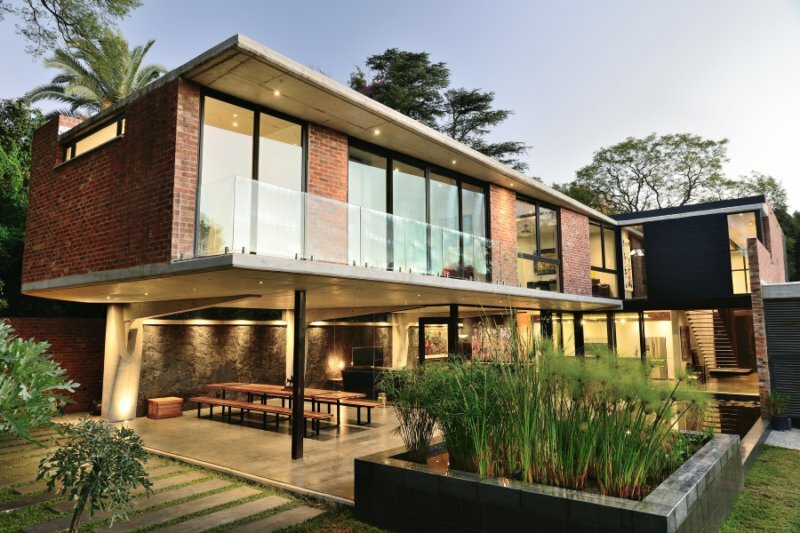 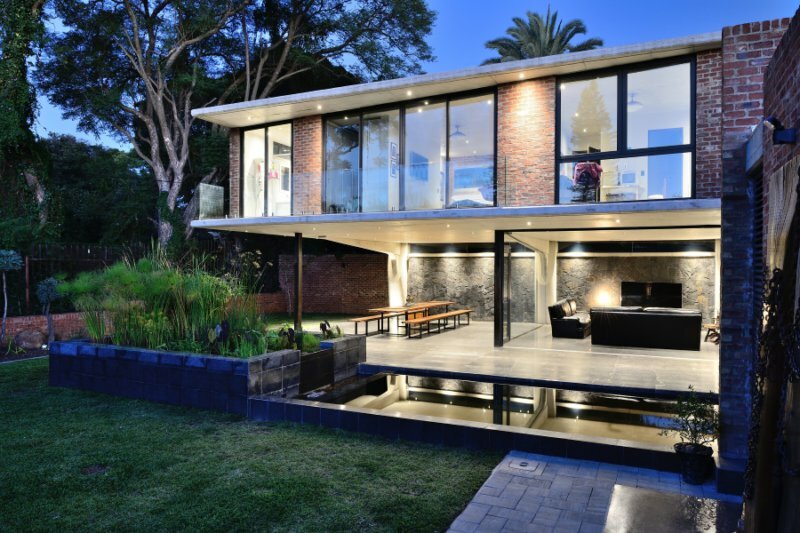 Large glazed sliding doors and black terrazzo floors throughout expose the interior spaces into a seamless veranda and covered patio which lends itself perfectly to the outdoor lifestyle of South Africa. 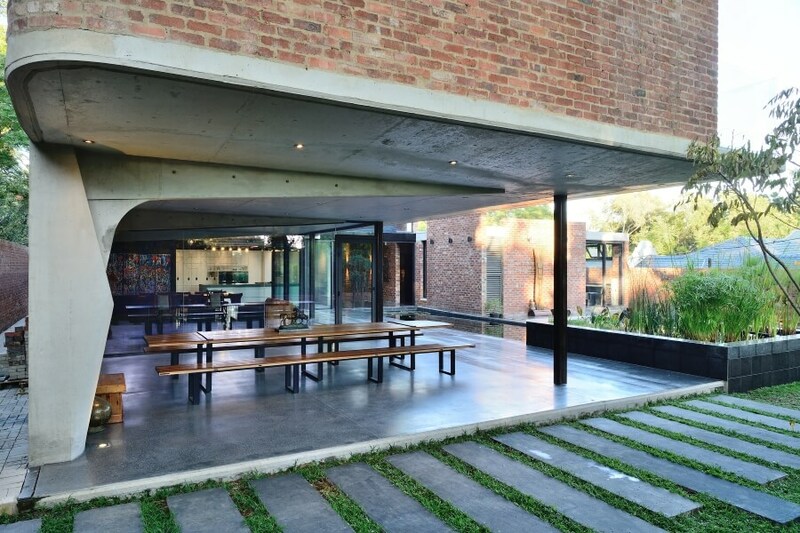 The materials (steel , concrete and facebrick ) remain honest in their form allowing the building to age gracefully in time. 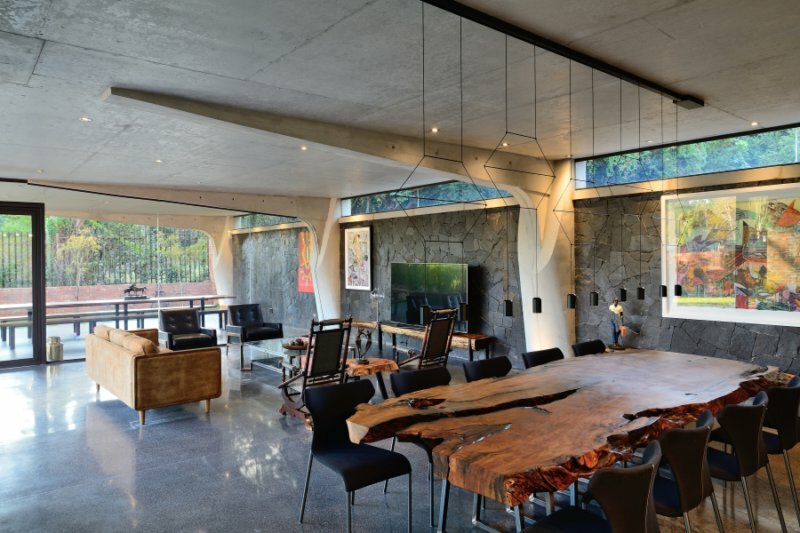 The sculpted structural concrete pillars and beams and elegant steel pilotis (gestural in their form and function) ,delicately “carry “ the bedrooms above.